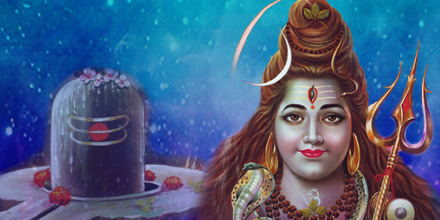 Maha Shivaratri 2012 – The Great Night To Worship Lord Shiva! Maha Shivaratri 2012 – The night of Lord Shiva, falls on the fourteenth day of the waning moon in the Tamil month of Masi, when the Sun is in the sign of Aquarius, according to the Hindu almanac. This year Maha Shivaratri falls on 20th Feb.
Maha Shivaratri 2012 – The Day For Spiritual Advancement! Maha Shivaratri is a great opportunity to connect with the divine formless form of Lord Shiva, the Lingam, who symbolizes ‘all-auspiciousness’, and to invite these energies in your life. In essence, it is the most powerful night of the year to remove deep seeded karma that is holding you back. It depends on your thoughts spanning this window of time so as to be very conscious for poojas and prayers. Poojas during Maha Shivaratri are amplified by 10 million times!. Maha Shivaratri is the prime time for every soul to get into the primordial consciousness of non-existence or Nirvana. One is required to keep vigil during the night in order to receive Lord Shiva’s grace and blessings. Lord Shiva incarnates in the form of Shiva Lingam, the holy symbol of Lord Shiva that is considered sacred by the devotees of Lord Shiva, during his great night, every year. The power of lingam is the most glorious occurrence created by God in its vast array of creation. Shiva Lingam is symbolic of the creative power of the universe. It denotes the truth that God does not have any definite form. Why to Stay Awake on Maha Shivaratri? There are so many stories that explain the ritual of staying awake the entire night on this precious day to worship Lord Shiva. The most popular story says that the divine union of Shiva and Shakti (divine consort of Shiva) took place on this day. This is the day on which Goddess Parvati, the reincarnation of Devi Sati, succeeded in her attempts to lure the Lord to marry her. What’s Special on Maha Shivaratri 2012?